Are you currently using Athena billing services but still finding the workload in your practice overwhelming? Are you looking for a medical billing firm that can manage your revenue cycle without the need to adapt to new software? At 5 Star Billing Services, we help healthcare practices using Athena medical billing overcome challenges that inhibit them from achieving and maintaining effective revenue cycle management. We integrate our billing expertise with your current billing software, resulting in comprehensive revenue cycle management that maximizes claims payments and reduces overhead costs associated with in-house billing. 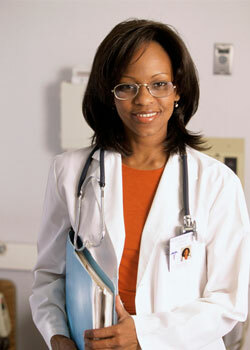 Our medical billing and coding experts are adept in Athena medical billing and revenue cycle software. This allows us to maximize the benefits of each feature offered by this EHR software. Using Athena’s real-time insights feature, our medical billing professionals are able to analyze your revenue trends by location, department, and specialty. Medical coding professionals at 5 Star Billing Services meticulously analyze your charges for coding and documentation accuracy, ensuring that claims get processed the first time. In addition, the team at 5 Star will rebill claims and follow up on claims until they are paid in full. Let our billing experts manage your revenue cycle and free your billing staff of the burden of having to follow up on claims, dealing with complicated billing regulations and coding challenges. Our medical billing and coding experts are thoroughly trained in and always up-to-date with constantly changing billing regulations and documentation practices. 5 Star billing services guarantee HIPAA compliance and quick and efficient claims processing. We implement various security measures that ensure your data and operational processes are fully compliant with privacy and security guidelines outlined by HIPAA. Are you ready to increase revenue, drive down operational costs, and achieve efficient and effective revenue cycle management for your practice? Contact us today online or call us at 480-821-1371 to learn more about how our medical billing experts can maximize your revenue using Athena billing and revenue cycle software.